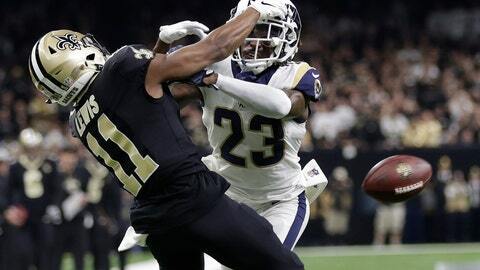 Greater use of replay has become a scorching topic since the NFC championship game, when a non-call on a blatant pass interference and helmet-to-helmet hit by Rams defensive back Nickell Robey-Coleman likely cost the Saints a Super Bowl trip. That type of non-call would not be subject to review under the league’s competition committee’s proposal, however. But members of the powerful competition committee that reviews the rulebook each year don’t sense strong support for a major expansion of replay. Several teams also made replay proposals, including one by Kansas City that would address what happened in the Rams-Saints title game. The Chiefs are proposing potential personal fouls not called on the field be reviewed after a coach’s challenge. Robey-Coleman’s helmet hit would have fallen in that category. —Allowing teams to elect to enforce on an extra point or on the succeeding kickoff an opponent’s personal or unsportsmanlike conduct foul committed during a touchdown.